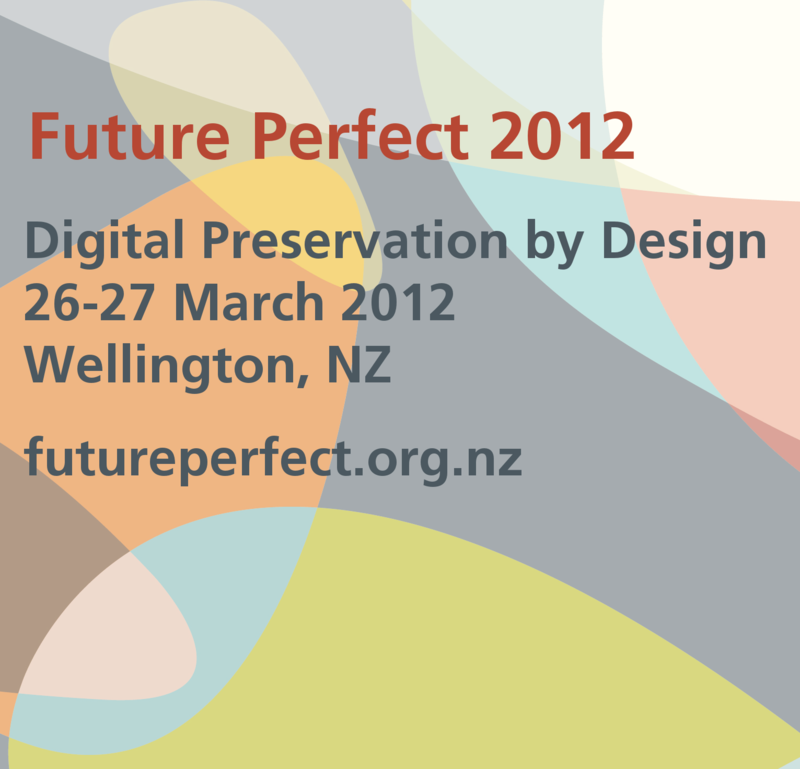 A couple of weeks ago I went to Future Perfect: Digital preservation by design 2012 organised by Archives New Zealand and held at the national museum, Te Papa, in Wellington. Now in its second year, it’s f antastic to have a digital preservation themed event like this happening in our region – no such event exists, to my knowledge, in Australia. The conference attracted people working in digital preservation from libraries, archives, museums and government organisations from around the world, including speakers and attendees from the UK, USA, Denmark, Germany and the Czech Republic. I thought I would share some of the interesting bits of the two days for me (bearing in mind there were split streams that were very difficult to make choices on). Jeff Rothenberg, formerly of the RAND Corporation, is a computer scientist who has written and spoken extensively on the subject of digital preservation for the past 20 years. Well known as a fan of emulation based approaches to digital preservation, it was interesting to hear Jeff speak about migration of digital records over time as being like playing Chinese whispers and ‘accumulating corruption’. I’m not sure that corruption is the right word. All business records go through migrations and incur some change during their existence. The question of whether migration change is tolerable is contingent on the recordkeeping requirement. I also have difficulty with concern for preservation of the ‘original artifact’ as a measure of authenticity. In digital recordkeeping, tracking and documenting processes carried out on records in an ever expanding corpus of recordkeeping metadata can attest to authenticity, not appearance. It was a pleasure the day after the conference to be able to participate in a meeting with Jeff and other delegates to talk through some of these issues. I must admit I am still not entirely clear on the benefits of emulation as a digital preservation strategy – to learn more I would recommend having a read of a recent blog post on the subject by Euan Cochrane: Incorporating Emulation into a ‘business as usual’ digital preservation workflow. Ross Spencer works in the Digital Preservation Department of The National Archives (UK) as a Digital Preservation Researcher. I was very interested in what Ross had to say because we have been testing the TNA tool DROID and making use of their file format registry PRONOM – and plan to use both as part of our swag of digital preservation tools in NSW. TNA have built a community for format identification and analysis for DROID and PRONOM, including people from Archives NZ and the PLANETS Project. Such a collaborative approach is necessary for libraries and archives to properly track and maintain up to date file format information – none of us should have to do it on our own. Excitingly, Ross spoke about a new initiative to make PRONOM available as linked open data. He also mentioned a new DROID suite of tools including a signature development utility. One of the points that Ross made that really resonated with me was that these days TNA are less concerned about format obsolescence now than they used to be. There are other more pressing problems for them – namely the diversity, variability and quantity of records they have responsibility for. Above all, they need to be flexible and scaleable in their approach. Something we have recognised in shaping our strategy for digital archives here in NSW. Jay Gattuso from the National Library of New Zealand spoke about how the Library is using PRONOM and DROID, and also talked a bit about Rosetta, their repository system. Jay’s talked about how from their point of view file format type, once identified and registered, drives all other functions including metadata extraction, rendering and risk management over time. Kris Carpenter Negulescu from the Internet Archive talked about their ‘unorthodox digital repository strategy’. 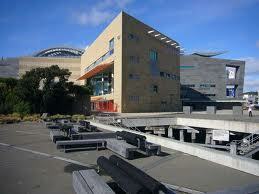 Their Web archive has 175+ billion (!) unique publicly accessible instances dating from 1996 to the present. Interestingly, in addition to 7 petabytes of publicly available info, the Internet Archive holds 5 petabytes of material under embargo by donors. It was interesting to hear in Kris’ talk about the rate of technology change and refresh at the IA. They need to migrate to the next generation hardware every 2 years, this is essential given their rate of growth and corresponding electricity & space needs. Very interesting article. At the risk of sounding incredibly self serving, you may find interesting the technology that we’re developing that would make migration a choice, and not a requirement. Also, since the method that out solution employs is an image of the data, the media is always backwardly compatible with generation zero. Add to it that media lasts for no less than 100 years, is chemically inert, and can be stored anywhere from -9º to 66º C it qualifies as a Green method to store data as well. I’ve overseen restoration of films like “Wizard of OZ” & “Gone with the Wind,” and can appreciate a media that will survive for 70 years. Thanks again for a very interesting article.